Finland for the roads and atmosphere in the WRC, Dakar rally for the world’s toughest physical and mental challenge. Bauxite in Greece, my first outright WRC stage win in 2009 (Citroen C4 WRC). 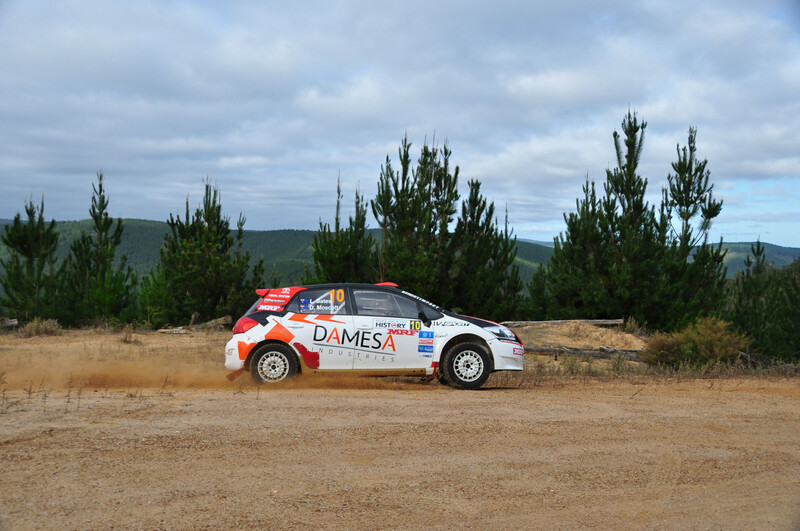 Watching Neal and Coral flying through the Canberra forest in an old Celica Gt4. First event, only lasted a few km’s but so much more of an adventure than going round in circles on the track. Championships all mean a lot but finishing my first Dakar rally was probably the hardest thing I have ever done, so the feeling of accomplishment there is the highest for me. In 2017, I had a very bad accident on a tarmac rally where the tree definitely won the battle. I smashed my knee to bits, broke my back and ribs so spent some time in hospital with leg and back braces. It was a tough road to recovery but I was back in the car 12 weeks later. I won’t ever forget that day in a hurry though. I’ve been fortunate to get to know Denis Giraudet and Kaj Lindstrom well over the years and I love the way they go about their jobs in a calm, no fuss and friendly way. Working hard always pays off. If you sit and wait to be given something, you’ll be there a long time. The sucky answer is my wife and two kids, but I’d ditch them for Jim Carey, Dan Riciardo and Salma Hayek. In fact I’d ditch Jim and Dan for just Salma. I’m 196cm tall, the same as Michael Jordan. Fifth overall in Sardinia WRC.